“I believe my first real medical encounter may have been at Advocate Trinity Hospital in Chicago. I was 16, and the hospital was called South Chicago Community Hospital,” says Dr. Julie Taylor, who practices family medicine there today. When her father suffered a heart attack in their home, Dr. Taylor remembers calling 911 for help. She also called her sister-in-law, who was a nurse. Dr. Taylor tried following instructions her sister-in-law gave over the phone while the family waited for paramedics to arrive. But at that time, Dr. Taylor was not trained to handle that type of situation. Although her father was transported to Advocate Trinity, he did not recover. Dr. Taylor joined her high school’s health careers club and has kept to her resolve ever since. 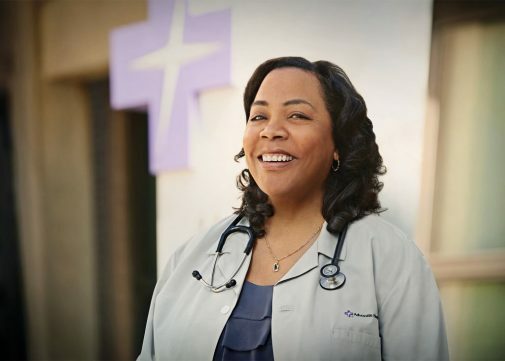 After completing her medical studies at the University of Illinois at Chicago Medical School and a residency at Cook County Hospital, Dr. Taylor joined the staff of Advocate Trinity, where her inspiration to become a physician and help people in her underserved community began. When she is not working with her Southeast Side patients, Dr. Taylor travels the world with Mission Partners for Christ, providing free health care to people in undeveloped countries. “I have to say I have been bitten by the medical missionary bug,” she says. Since 2001, Dr. Taylor has completed over a dozen short-term missions to Senegal, Haiti and Tanzania. On March 19, she completed a four-day medical mission to Liberia. She leaves for Haiti in May. And she has medical mission trips planned for at least two more African countries later this year. Each trip includes a four-day clinic, similar to a health fair, that sees a total of 1,400 people with a variety of health needs. 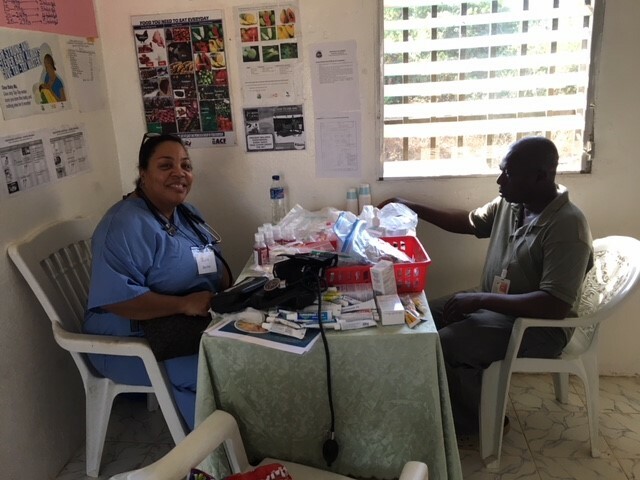 During these clinics, Dr. Taylor has treated fungal infections, malaria and Tinea Capitis (ring worms in the scalp), administered diabetes screenings and distributed over-the-counter supplies such as Tylenol and vitamins. Most importantly, Dr. Taylor has shown hundreds of people how to manage their health conditions without medication because they do not have access to medicine. I’ve be a patient of Dr. Taylor for some years now and I’ve never heard this side of her. I feel very blessed to have such a thoughful Dr. Dr. Taylor you are a very great person as well as an awesome Dr. Keep up the GREAT WORK. ← What disease do Americans fear the most?